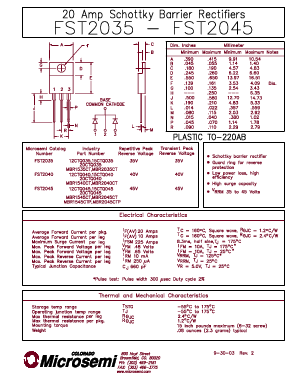 SR3100 VOLTAGE 20 ~ 100 V 3.0 AMP Schottky Barrier Rectifiers View Secos Corporation. SM220FL Voltage 20 ~ 100 V 2.0 Amp Schottky Barrier Rectifiers View Secos Corporation. SM1100AF 20 V ~ 200 V 1.0 Amp Surface Mount Schottky Barrier Rectifiers View Secos Corporation. SM2100AF 20 V ~ 200 V 2.0 Amp Surface Mount Schottky Barrier Rectifiers View Secos Corporation. SP20150R VOLTAGE 150 V 20.0 Amp Schottky Barrier Rectifiers View Secos Corporation. SM220MH 20 ~ 100 V 2.0 Amp Surface Mount Schottky Barrier Rectifiers View Secos Corporation. SM1100MH 20 ~ 100V 1.0 Amp Surface Mount Schottky Barrier Rectifiers View Secos Corporation.